When I wrote on Coronation Street a couple of weeks ago, Roy Cropper was traumatically conflicted: his wife Hayley, who has been diagnosed with terminal cancer, had expressed her wish to determine the circumstances of her own death and asked her husband to support her. 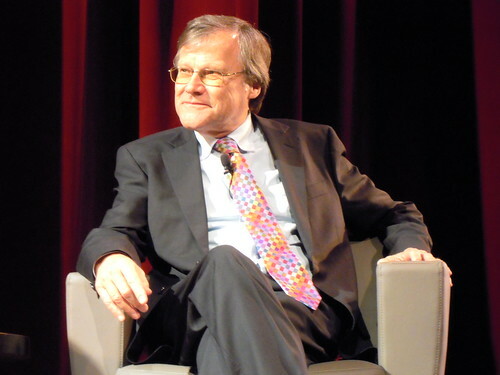 Roy (played by David Neilson, above) treasured every remaining second he had left with his wife and couldn’t find it within himself to condone her decision. Their long and engrossing discussion ended with neither partner fully understanding the other’s perspective. It was an absorbing plot development that, in typical Corrie style, engaged the viewer in a wider contemplation on euthanasia and the moral right of an individual to take control of his or her own life. The damaging effects on their loved ones was reflected in Roy’s anguished response. Now the narrative has moved on and the soap’s scriptwriters have once more excelled in deepening the conundrum. Roy has accepted a new challenge by agreeing to support Hayley’s decision. His change of heart has been occasioned by the death of Hayley’s friend and fellow cancer patient Jane. Much to Hayley’s annoyance, the ever-protective Roy had inadvertently shielded her from the death, but the couple attend the funeral. Here Roy talks to Jane’s two sons, one of whom is satisfied his mother died peacefully, her pain relieved by morphine. Her younger son disagrees and says his mother’s mind was so addled, she didn’t know who was at her bedside. Hayley’s fear is that, should she opt for palliative care, she too will become confused and lose cognitive powers to the point where she will deliriously return to her former self, “Harold.” Hayley (played by Julie Hesmondalgh), as viewers will know, is a transsexual. Both Roy and Hayley have assumed Jane and her husband found comfort in their faith, but, again Roy is given pause for thought when he discovers Jane’s husband Jeff is, in fact, not a believer. Jeff merely pretended to be religious for the sake of his wife. He finds no contradiction in this; if it made his wife feel comfortable in his final days, it was justified. Shortly after the funeral Roy announces he has changed his mind and will support Hayley in her wishes. Later, it transpires, he hasn’t actually changed his mind, but he intends to support Hayley nevertheless. He confides to Anna, who works for him in the café, that he truthfully can’t understand Hayley’s wish to take her own life, but has lied to her only to give her succour for her remaining months. So he plunges himself into a new dilemma: is he right not just in lying to his wife but in betraying one his most deeply-held principles – the sanctity of human life? If Hayley doesn’t change her mind, Roy is implicated in a pretence that will surely overpower him over the coming months. Coronation Street excels in dramatizing what might otherwise remain abstract moral conundrums and giving them a form we can all find both stimulating, yet accessible. Roy will doubtless struggle with a decision that he regards as brave; yet is it? Perhaps there would be more courage in maintaining his genuine stance and seeking to dissuade his wife from taking her own life? His torment will reflect that of countless others. Cancer, like other terminal diseases, takes more than one victim. Those who love, cherish and care for the sufferer themselves suffer in multiple ways. The celebrated itv drama has included many, many arresting storylines in its five decades history; this one is arguably the most poignant and provocative of all. This entry was posted in Uncategorized on 13 November 2013 by .